A man slumps over a grand piano in a vast, empty concert hall. The walls ring with a residual hum, and all that can be heard is the steady breathing of the crouched pianist. The lights dim until blackness covers everything. All is dark and quiet . . . until a chord explodes through the chamber with a BOOM. The room is cast in blinding light. The piano’s lid flies open, and its mechanical insides float around the hall. Another chord rings out, and the man sings . . .
How does a jack of all trades pour himself into the singular vision mold of an album, reintegrate into the world of music after so many fleeting trends, and do so adorned with a sobriquet that he hasn’t utilized in almost a decade? How can one consolidate the experience and skill gained from stints as an ambient musician, turntablist, vocalist, painter, and handyman? 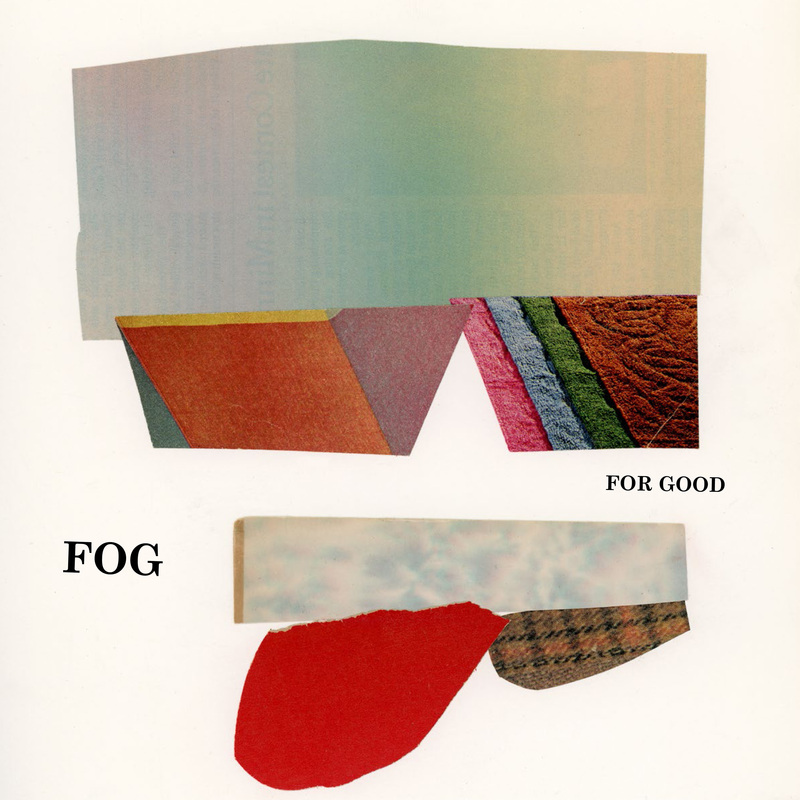 For Good is the newest full-length from Andrew Broder as Fog. Merging his expertise in traditional songwriting and technological experimentalism, Broder crafts an album filled with theatric, electronic-tinged balladry. The centerpieces are his voice and piano, powerfully charismatic and heart-wrenchingly beautiful, respectively, while multitudes of IDM rhythms and vinyl scratches surround him like a swarm of locusts. It’s melodically stunning and idiosyncratic to the utmost degree. Rather than hindering his eccentric tendencies to fit within the confines of something that can be regarded as “pop”, he does the exact opposite. For Good is a record that displays the ideal trajectory of an off-kilter artist, a collection of compositions that squeeze refined elements inside of far-out arrangements to marry the harmonious and the cacophonous. If you’re seeking IDM-tinged piano ballads, this album is for you.